This daylong session will help educators look at the writing process through the eyes of a student with executive functioning challenges often associated with autism, learning disabilities, and attention deficit disorders. Using an interactive format, the presenters will explore the organization, sensory, motor, and language challenges students experience during the writing process, and will demonstrate specific strategies to help teachers address writing challenges in the classroom. 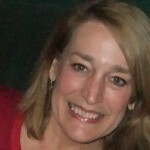 Cheryl Boucher is an occupational therapist with a Master’s degree in Special Education. She has more than 20 years of experience. Cheryl currently works as an OT for a large, urban school corporation and is in demand as a speaker and presenter, specializing in strategies to meet the sensory and motor needs of students with ASD. She is co-author of “Low Cost/No Cost Sensory Strategies for the Classroom”, published by Autism/Asperger Digest. Kathy and Cheryl are co-authors of I Hate to Write! Tips for Helping Kids with ASD and Related Disorders Increase Achievement, Meet Academic Standards, and Become Happy, Successful Writers. Presenters website: I Hate to Write! ​Audience: Classroom teachers, general and special education co-teachers, curriculum leaders, technology specialists, assistive technology staff, and administrators are encouraged to attend. Cost: $10.00 - Continental Breakfast & Lunch Provided. Each participant will also receive a copy of the book, I Hate to Write! Tips for Helping Kids with ASD and Related Disorders Increase Achievement, Meet Academic Standards, and Become Happy, Successful Writers.